HUNDREDS of residents in the cities of Joondalup and Wanneroo could be affected by the State Government’s decision to cut funding for financial counselling services. The Department of Child Protection and Family Support announced this month that financial counselling services in the Perth metropolitan area would no longer be funded from October 1. Wanneroo Mayor Tracey Roberts said the cuts would result in the city losing two of its five financial counsellors, which would leave about 60 clients without access to services each month. “The city’s financial counselling services provide invaluable support to help people review their financial situation and suggest ways in which to manage their finances,” she said. Between July and December 2014, the city provided more than 600 clients with financial counselling services. Wanneroo councillors unanimously supported a motion by Mrs Roberts on Tuesday night to advocate their disappointment to the State Government on its decision to stop funding, and to investigate alternative funding options. The mayor’s report said it would cost $157,449 to provide two counsellors from this October to June 2016, or almost $210,000 annually. Joondalup chief executive Garry Hunt said the city, which has about 360 people access the service each year, was still assessing the implications. “Like all local governments affected by this decision, Joondalup does not have the financial capacity to cover this funding shortfall,” he said. The Spiers Centre in Heathridge, which relies on government funding and donations to operate, has three financial counsellors – two who job share and are funded by the Federal Government and one full-time counsellor funded by the State Government. “It’s a very big concern, the challenge becomes do we discontinue the service or do we look at funding it ourselves?” acting chief executive Helena Jakupovic said. 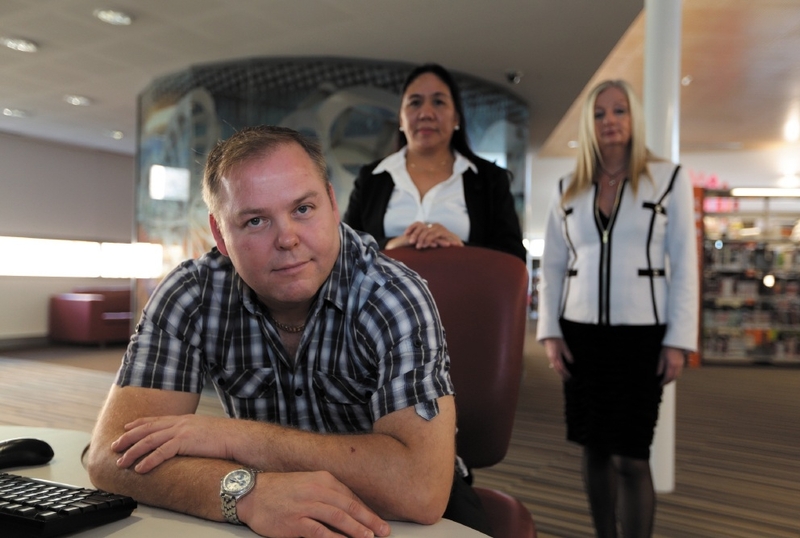 The centre helps Joondalup and Wanneroo residents and in 2014, the full-time counsellor helped 215 clients. Mrs Jakupovic said she was also worried about the broader effect the cuts would have on the centre. About 50 financial counsellors attended Parliament House last Thursday to express their concerns about the cuts, which would save the Government $1.5 million in the first year. But Mental Health and Disability Services Minister Helen Morton was not swayed. Mrs Morton said the increase in WA’s population meant the demand for services had risen by 82.4 per cent. “We have to focus on core services and direct funding to promote the safety and wellbeing of at-risk children and families, with the aim to prevent children coming into care,” she said. Mrs Morton said the Financial Counsellors Association of WA would extend and increase its focus on metropolitan clients. “FCAWA is currently piloting a web chat option for clients,” she said. IF not for his financial counsellor, former Darch resident Ray Wheare believes he would be dead. After Mr Wheare’s wife died in April 2013, he became depressed and struggled to keep up with bills. A social worker referred him to the City of Wanneroo’s financial counselling services, where he met counsellor Jacqui EcclestoneOK. “If Jacqui hadn’t come along I probably would have done myself in,” he said. “She saved my life, a couple of times. “I got really depressed but she helped me to sort out ways to pay my bills and home loan.” Mr Wheare, who has now paid off his debts and was able to buy a house in South Australia near family, said the recent cuts to financial counselling services were “a pity”. Carramar resident Graham Last, who started using the city’s financial counselling service two years ago, also found his counsellor was gave emotional as well as financial support. Mr Last hit financial difficulty during the final six months of his nursing degree, as he and his wife had to balance his nearly two months of unpaid practical work with looking after their four young children and trying to generate an income. He was contemplating giving it up so sought help from financial counsellor Violeta LedesmaOK. “It (the situation) wasn’t working and I was quite depressed, but Violeta said ‘we can help’,” Mr Last said. Mr Last is now employed as a nurse and said the community needed more, not less, financial counselling services. “I think it’s an absolute essential service in today’s society,” he said.